The Mediterranean Diet is an eating plan based on the eating habits of the people of Crete, a Greek island, which includes food found in that region and whose main ingredient is olive oil. 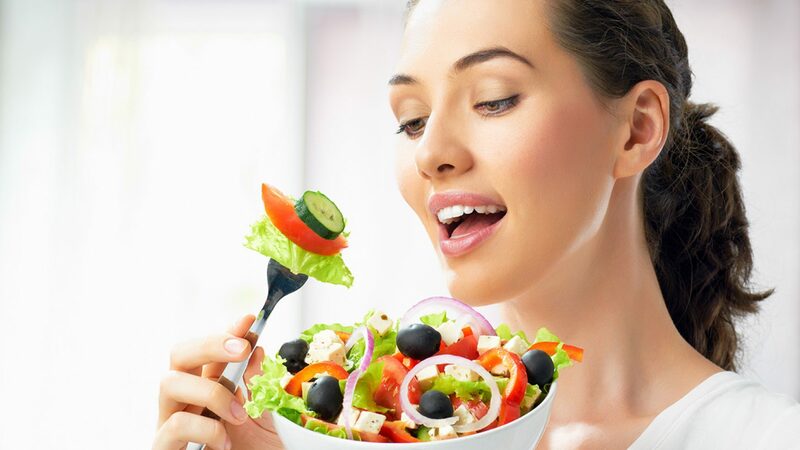 This diet began in the Middle Ages when the ancient Roman tradition identified bread, wine and vegetable oil as the symbolic foods of the rural culture and agriculture, and the Roman upper class consumed large amounts of fish and seafood. Later other civilizations and religions were mixed in, giving rise to the food combination that comprises it today. Around the 50s, Dr. Ancel Keys discovered the health benefits of the Mediterranean diet for the heart. The Mediterranean diet consists of a variety of foods, which is why cost, availability and taste shouldn’t pose a problem. We must note that in this list we’re including Mexican products, which can be included due to their availability. Whole grain cereals (wholegrain rice and pasta, popcorn, oatmeal, whole grain bread, cous cous, quinoa, amaranth, corn tortillas and wheat bran): these are excellent fiber sources, which help the digestive system and glucose and cholesterol control, if eaten in moderation. Consuming them daily is advised. Legumes (lentils, beans, soy, etc. ): due to their high fiber content and slow absorption carbohydrates they help control blood sugar levels, if consumed in moderation. They are a rich source of protein. Consuming them daily is advised. Oil and seeds (walnuts, almonds, peanuts, sunflower seeds, chia, etc. ): they benefit blood fats (cholesterol and triglycerides) because they contain healthy fats. Consuming them daily is advised. Vegetables (garlic, celery, broccoli, squash, cauliflower, spinach, onion, tomato, eggplant, mushrooms, peppers, etc. ): these should be consumed abundantly as they contain very few calories and are very nutritious. They aid good Diabetes control due to their low carbohydrate content. Consuming them daily is advised. Fruit (whole, not in juices! Here we include apple, plum, peach, strawberry, mango, guava, orange, tangerine, papaya, etc. ): These contain slow absorption carbohydrates, especially those which are eaten with the skin. People with blood fat (triglycerides) problems are advised to not eat more than 3 servings per day. Consuming them daily is advised. Olive oil: this helps lower bad cholesterol and has antioxidant and anti-inflammatory effects, which benefit the heart’s health. You can also include canola oil, sunflower, safflower or avocado. Consuming them daily is advised. Fish: it has protective effects against heart disease, cancer and blood pressure, it also benefits several brain functions, such as improved concentration and learning. Consuming it at least three times a week is advised. Chicken: rich in protein and low in fat as long as the skin isn’t eaten. Consuming it at least three times a week is advised. Egg: is an excellent source of protein, and also provides no carbohydrates. Consuming them less than three times a week is advised. Seafood: these are rich in protein, vitamins, zinc, selenium and iron. Consuming them once a week is advised. Dairy products (cheese and yogurt): these provide slow absorption carbohydrates which is why they help control glucose. They can be consumed daily. Red wine: contains resveratrol which has antioxidant and anti-inflammatory effects, and benefits the heart and brain. Women should drink one glass a day and men two (each glass contains 120 ml). There are certain cases under which wine SHOULDN’T be consumed, such as in pregnant women, people with liver diseases like cirrhosis, with high triglycerides or alcohol addiction. Slight or no consumption of industrialized or processed products, foods high in salt or sodium, red meat, animal fats (butter, cream, sausage, bacon), refined flour, desserts and sweets is advised. On November 16th, 2010, the Mediterranean diet was declared an Intangible Cultural Heritage of Humanity in a joint designation by Spain, Greece, Italy and Morocco. Reduces the risk of heart disease in people living with Diabetes, such as heart attacks. Helps control blood sugar, which lowers the risk of complications in eyes, kidneys, feet and other organs. It helps improve insulin sensitivity in muscle and fat tissues, which is why insulin works better at storing sugar in these so it doesn’t accumulate in the blood. The Mediterranean diet has more benefits for the heart than low fat meal plans. The benefits for Diabetes control (blood sugar) are higher when one eats the calories they need i.e., don’t exceed the amount of food they eat. Diabetes mellitus Type 2 and metabolic syndrome: this occurs because it’s high in fiber and low in saturated fat and cholesterol. This decreases insulin resistance and helps β cells (which are the pancreas’s insulin-producers) work better. 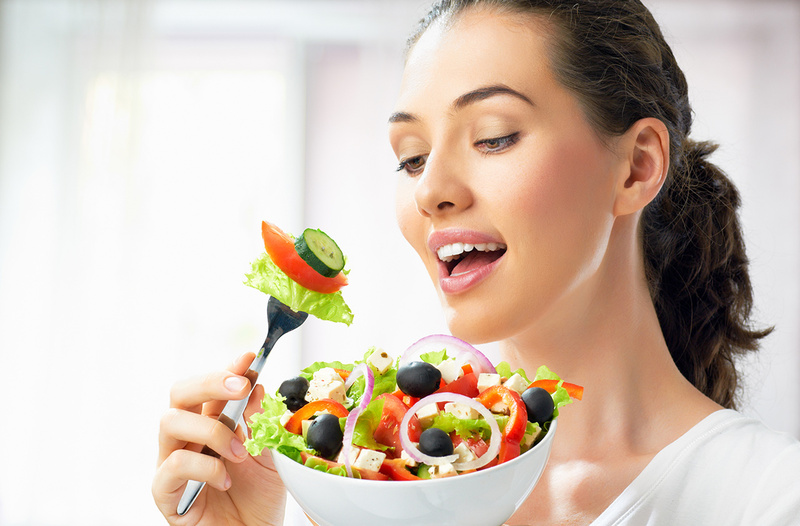 Obesity and excess weight: including Mediterranean diet foods in controlled portions will help you lose weight in a healthy manner. Different types of cancer: the Mediterranean diet can help prevent several types of tumors, it’s estimated that up to 35%, because it’s rich in vitamins, minerals and antioxidants, and low in saturated fat, sugar, salt and processed foods. Heart problems: this was especially attributed to the beneficial effects of olive oil, fish oil and fat. As well as a low cholesterol, saturated and trans fats intake. Allergies: the Mediterranean diet has protective effects against respiratory (allergic rhinitis and asthma) and skin allergies (atopic dermatitis), especially in children. Neurodegenerative diseases (nervous system or brain): it has been shown to have protective effects against Alzheimer’s, dementia and cognitive disorders (comprehension and learning), attributing these properties to healthy fats, especially olive oil and oils. Stomach or intestinal diseases: the foods that make up the Mediterranean diet promote the health of our digestive tract’s microorganisms, which help lower disorders such as nervous colitis and other bowel diseases. Myth: olive oil, despite being a very nutritious food, is part of the fat group, which has 9 calories per gram. Therefore a teaspoon of olive oil provides 45 calories, just like a teaspoon of butter, but has more health benefits than butter. Myth: as you already read, breads and cereals are some of the main foods of the Mediterranean diet. This is because the body needs carbohydrates for energy, and its fiber brings several digestion benefits, such as blood sugar and cholesterol control. Remember that moderation is key. Myth: even though fruits are a good fiber and antioxidant source, juices mainly provide fruit sugars, losing their vitamins and fiber supply in the process. It’s better to eat whole fruits as part of the Mediterranean Diet. Include all of the vegetables you want in your main meals or snacks. These can be raw, cooked, stewed (with a bit of vegetable oil like canola), in sauces, pico de gallo, soups, salads, etc. Chose vegetable oils, especially olive oil in your preparations instead of butter, mayonnaise or cream. Season your pasta, fish and vegetables with canola or olive oil and aromatic herbs. You can also add avocado as a source of healthy fat. Remember not to abuse the amounts to not affect your weight. Choose fish or chicken instead of red meat or sausages. You can also include soy based casseroles a couple of times a week as a good source of protein that contains no cholesterol or saturated fats. Remember that the more natural and less processed the food is, the better, so choose simpler cereals (oats, wheat bran, amaranth) in their most basic form. Choose aromatic herbs, garlic and onion to flavor your food instead of salt, high-sodium condiments, chicken broth powder or creamy dressings. You can snack with some fresh fruit, a handful of walnuts or almonds, 1 light yogurt or chopped vegetables, like jicama and cucumber. Remember that the benefits of the Mediterranean Diet are enhanced when it’s incorporated into a healthy lifestyle that includes exercising every day (walking, cycling, swimming, sports, etc.). In Mexico we have all of the Mediterranean diet ingredients mentioned above. These can be purchased fresh or frozen, both are a good choice. Try to avoid canned or heavily processed versions, as this increases their conservatives and sodium content which are harmful to your health. Remember the fresher the better.